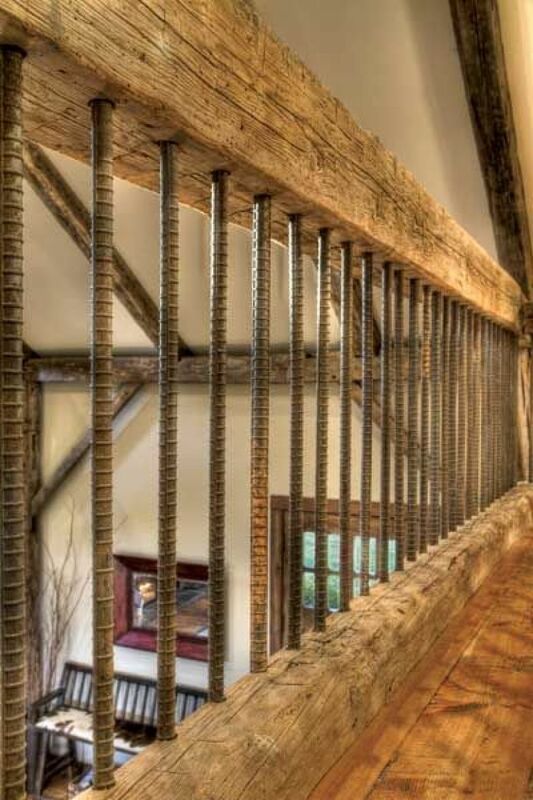 The combination of rebar (usually seen giving concrete tensile strength) and reclaimed timber hits the rustic look on the head, really. 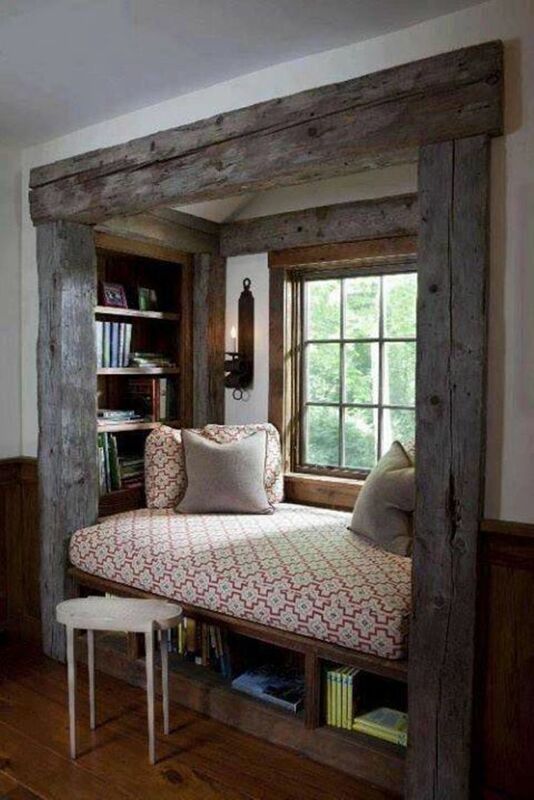 A reading nook feels very rustic. 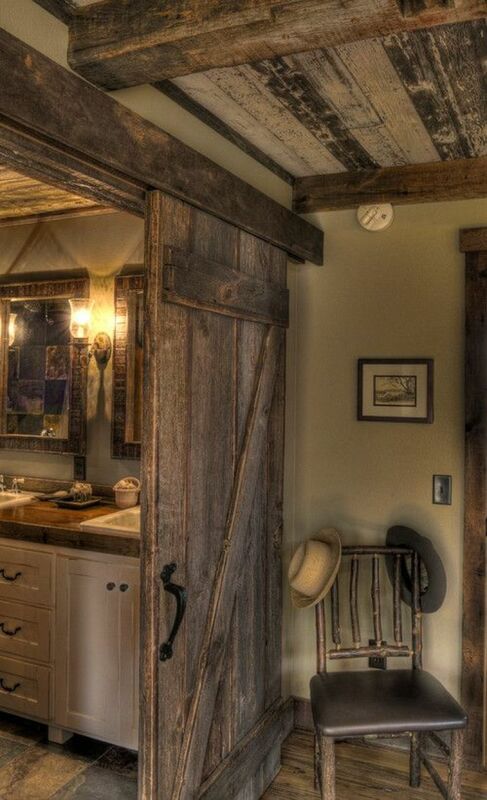 Combine that with lots of distressed timber and you have a winning combination. 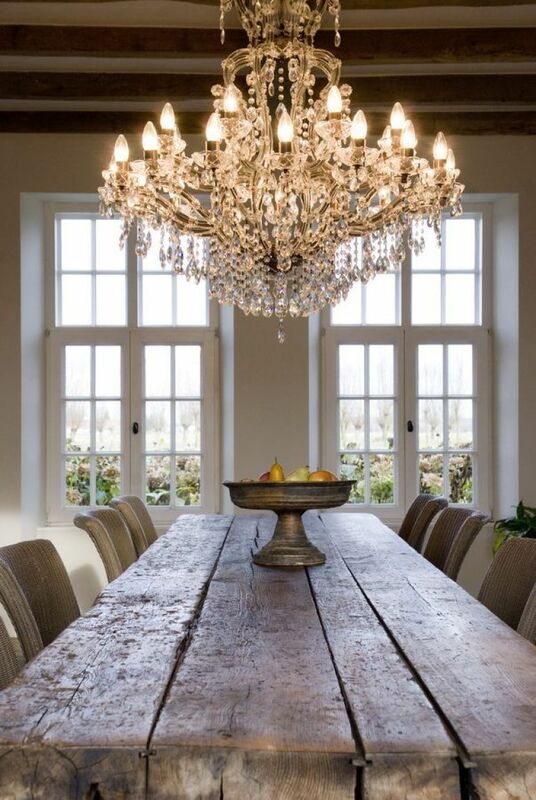 Actually reclaimed timber pretty much anywhere will infuse a rustic vibe. It works really well here when balanced buy the glamourous channeler. Too much of a good thing is never wise! 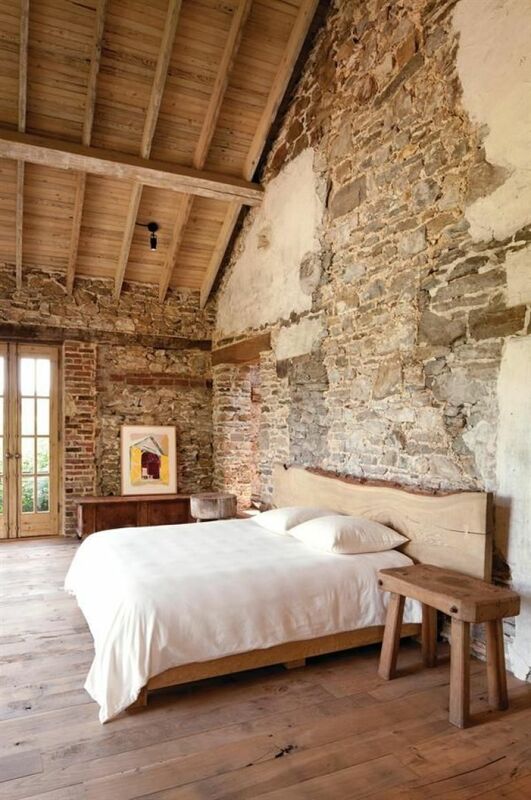 Most of us won't have the luxury of a centuries old wall that is cobbled together out of a variety of material. 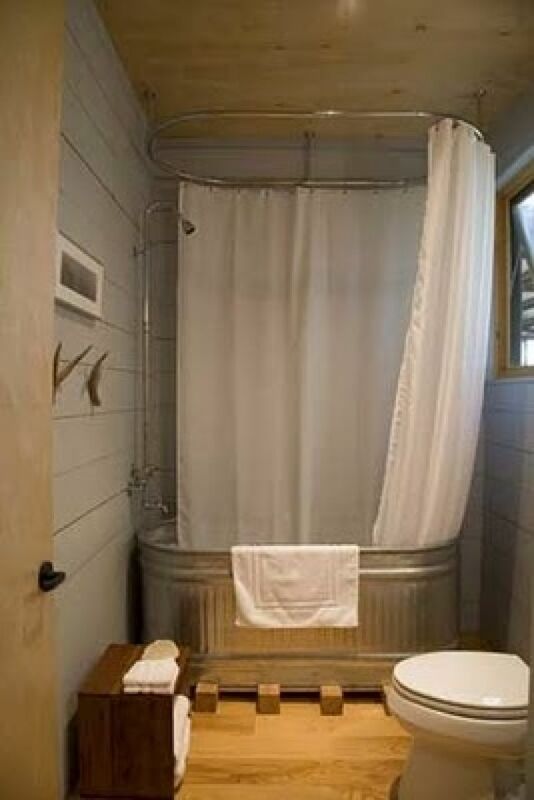 But if you do, you've got the perfect bones for an authentically rustic space. 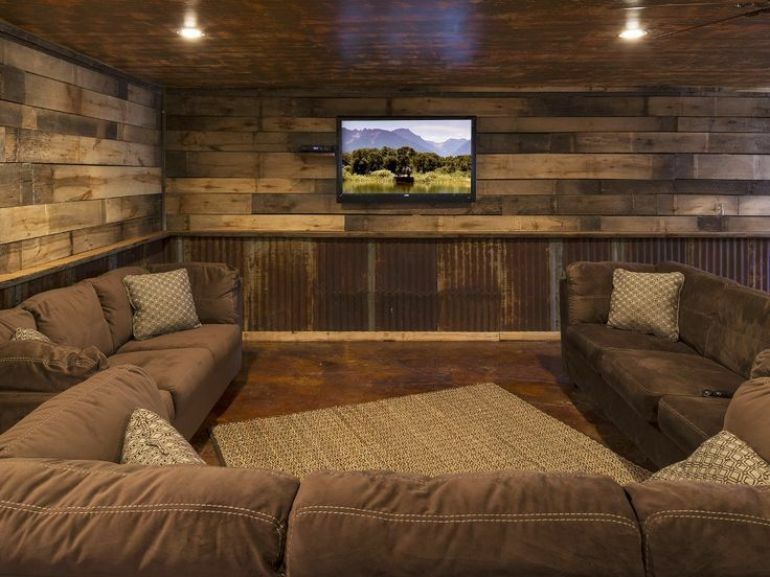 Even a cinema room can be rustified with the help of some timber and rusted corrugated iron on the walls. Enjoy your 21st Century technology in a 19th Century atomsphere. 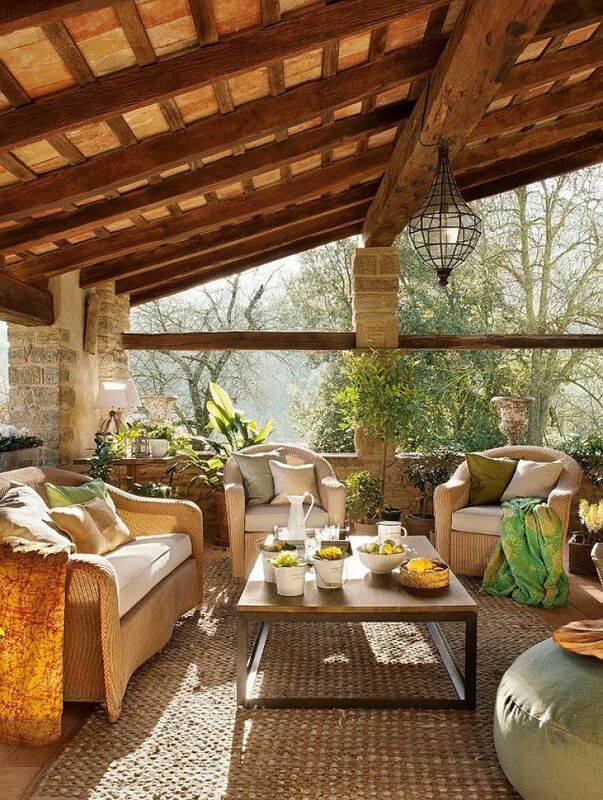 This is a very spanish rustic look, what with the exposed beams, all that stone and the wicker. 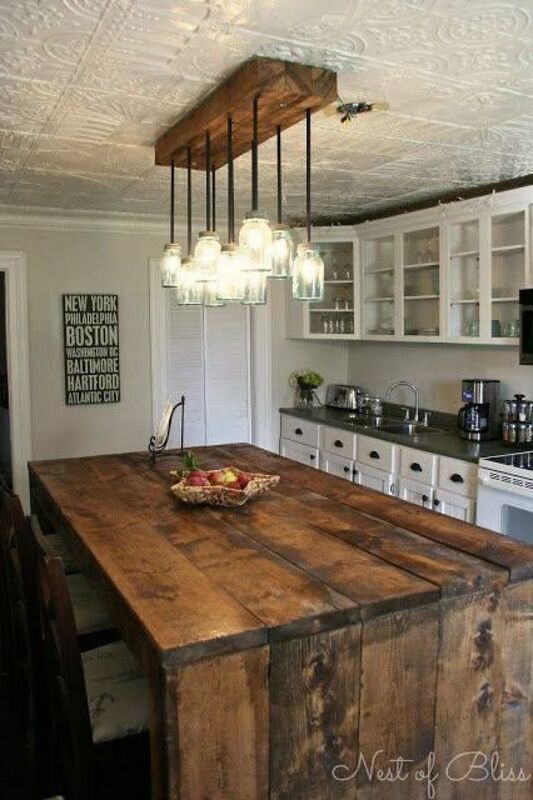 Combine the raw rustic look of distressed timber with the humble make-do attitude of the Mason Jar light fittings and you have the rustic look home and hosed. 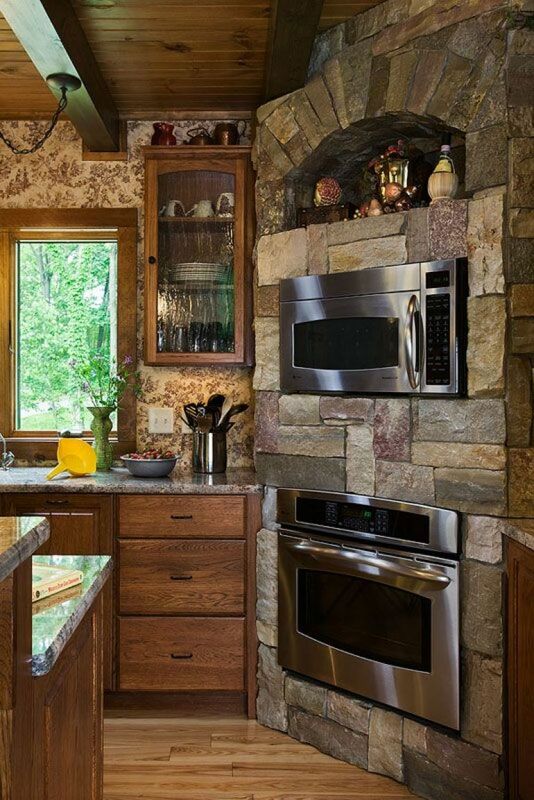 Failing a real stone fire for cooking, just tile stone around your shiny stainless steel appliances for that rustic look. You can never have too much of the brown stuff. 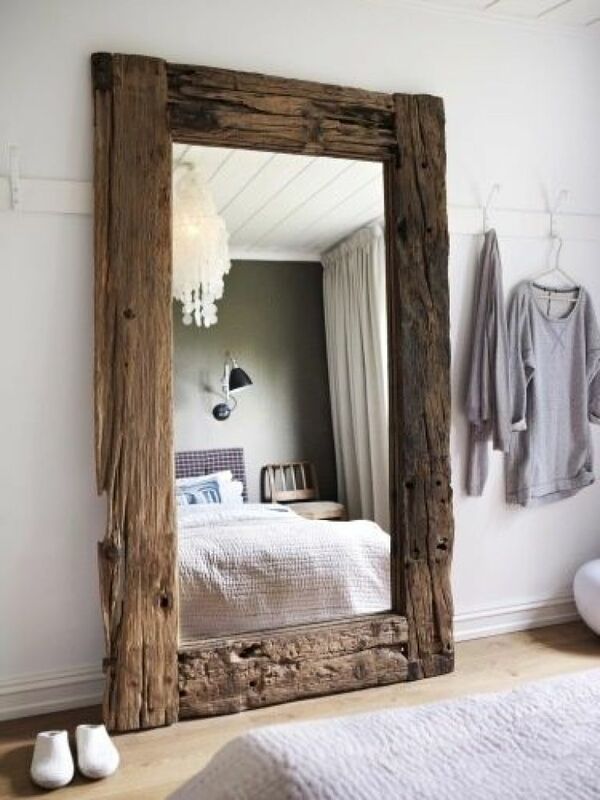 Even in a shabby chic style room this is bound to impress. 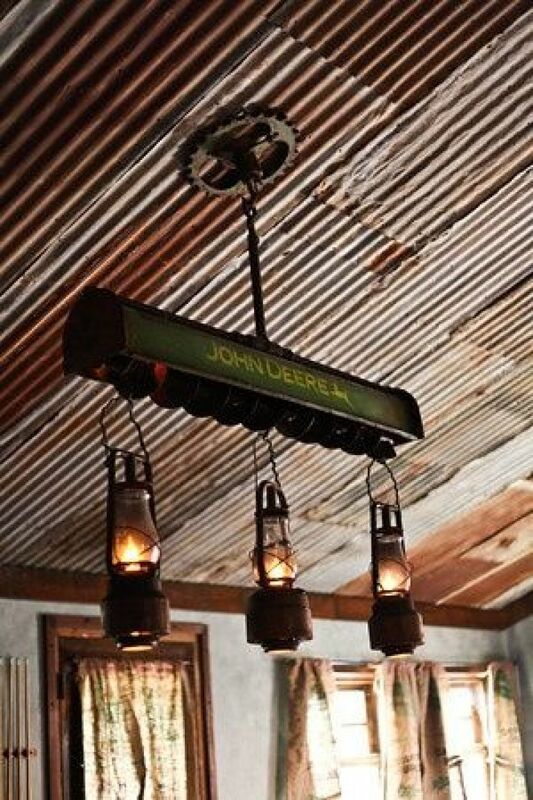 Bonus points for combining with John Deere memorabilia. 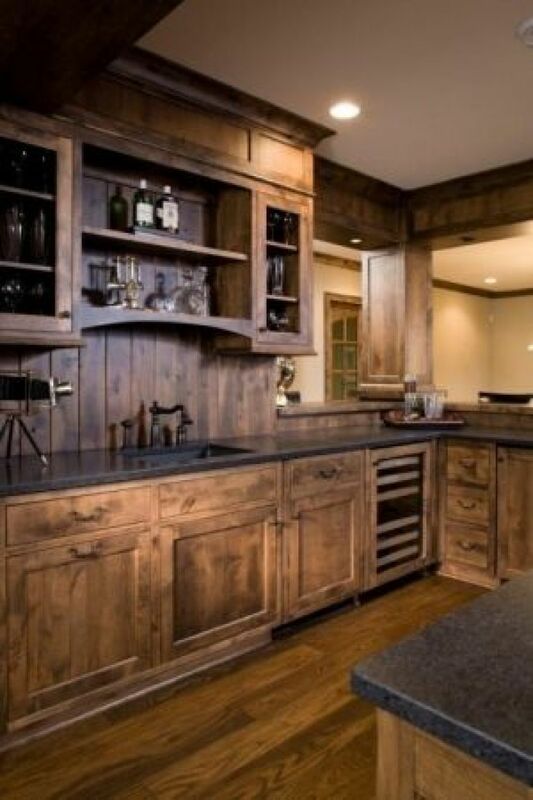 Go for the farmhouse look in the kitchen with open shelving and a deep farmhouse style sink. 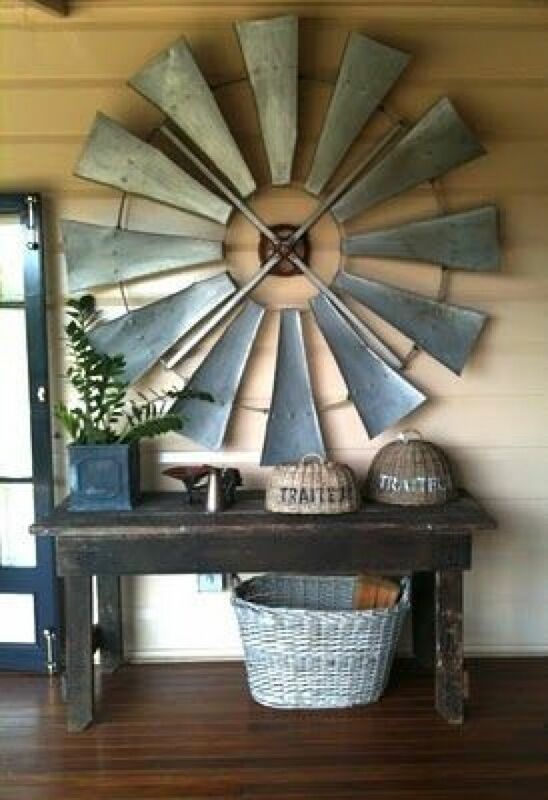 This will make the whole space feel very homely and rustic. 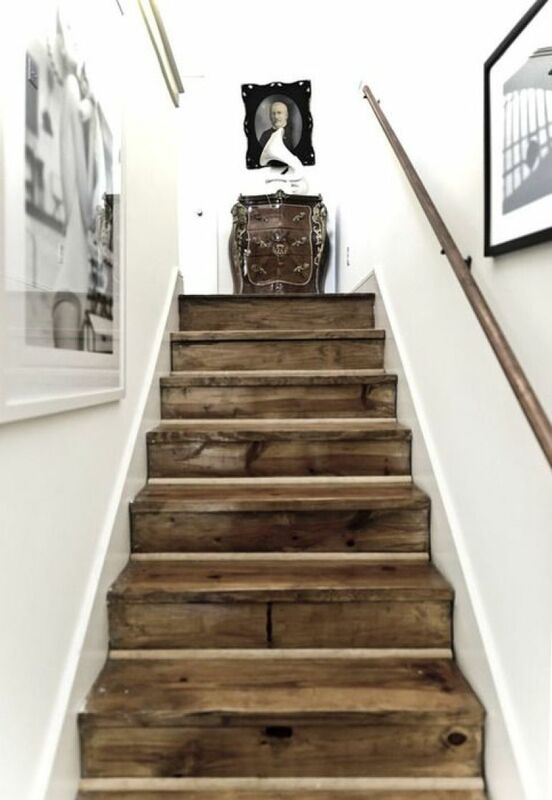 Even in an otherwise modern home, some distressed timber stairs brings a rustic, lived-in look. 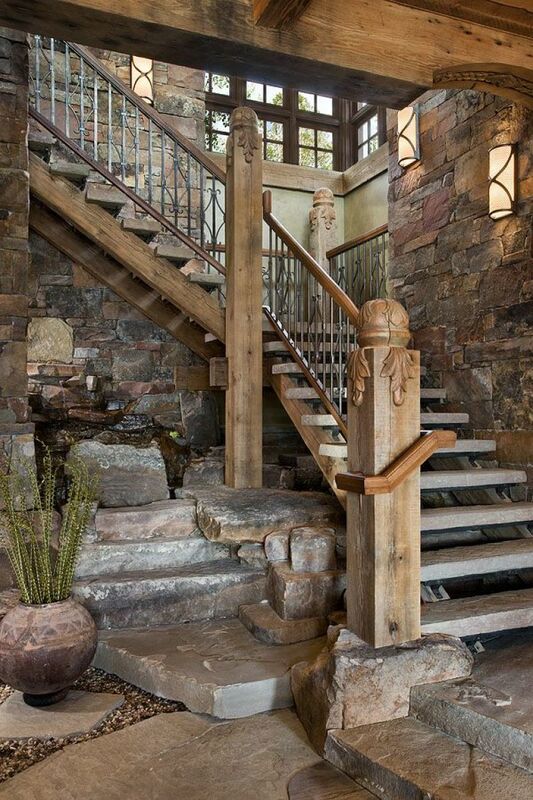 There's no boring space that an enormous hunk of timber can't fix. Especially if it has a carved in towel rail. 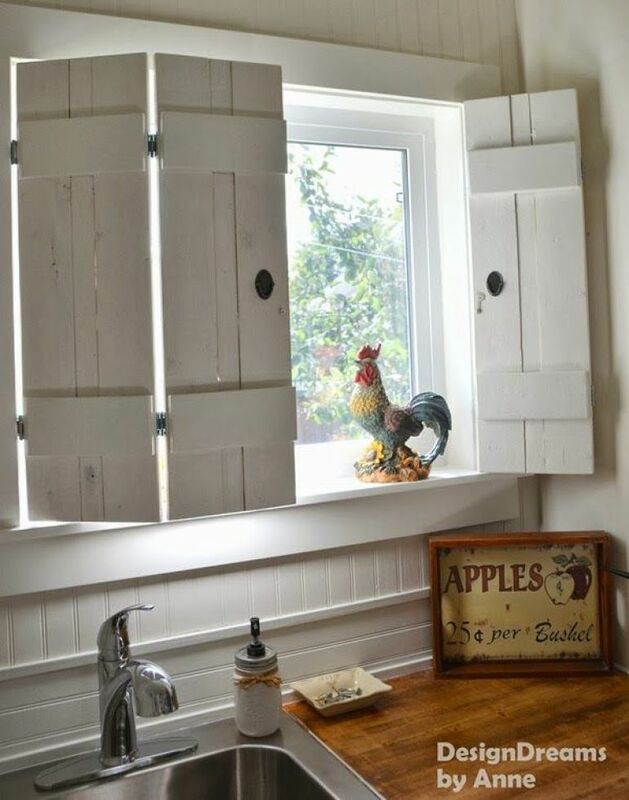 No barn rustic home is complete without some quaint timber window shutters. No explanation needed here. Just do it. Metro could learn a lot from this. 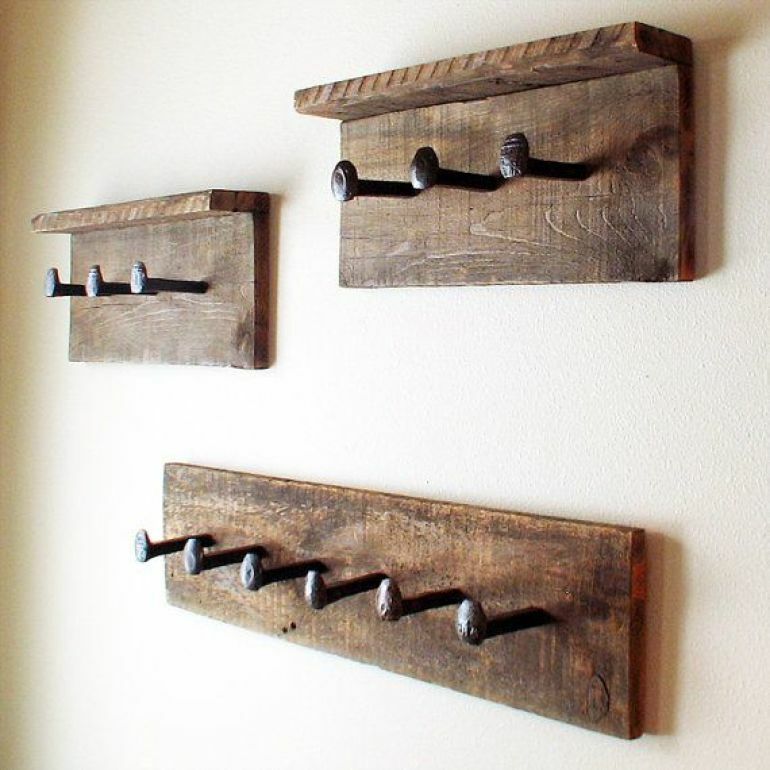 Because nothing says rustic like rusty railway nails. And hanging devices. 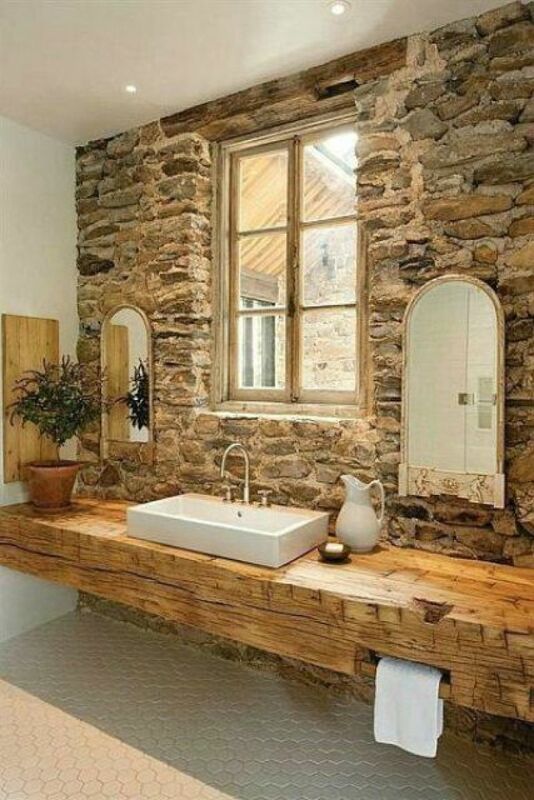 Hi, we are in love with this bathroom. We found shower wall tile that was a near match, but we waited too long and the tile has been discontinued. 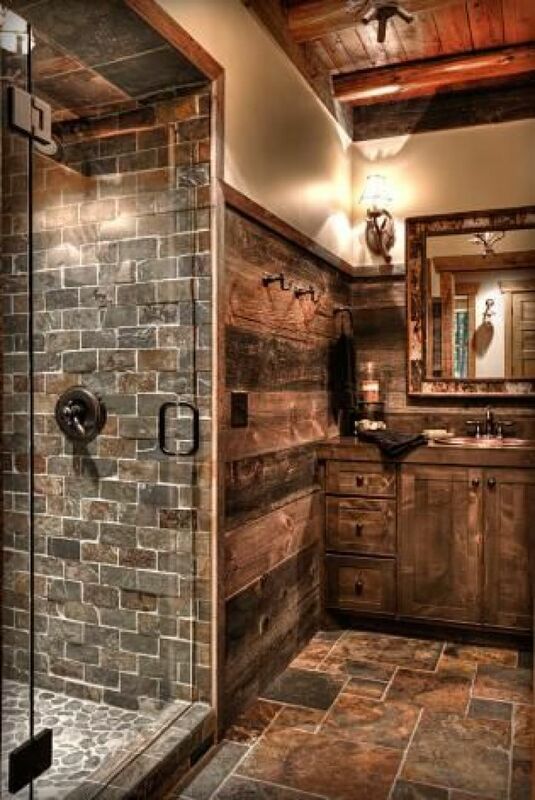 Can you share the source for the shower wall tile?